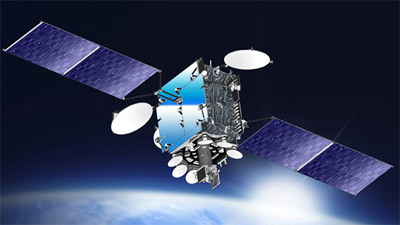 Athena-Fidus is a French-Italian geosynchronous military and governmental EHF/Ka-band wideband communications satellite capable of data transfer rates of up to 3 Gb per second. The Athena-Fidus program is being managed by French Defense Procurement Agency (DGA) and Space Agency (CNES) and the Italian Defense Procurement Agency (Segredifesa) and the Space Agency (ASI). CNES signed in February 2010 a contract over 275 million euros with Thales Alenia Space for the construction of the satellite. Once operational, the system will be used by both the French, Belgian and Italian armed forces as well as the civil protection services of France and Italy. Athena-Fidus is built on a Spacebus-4000B2 platform and was in early 2014 on an Ariane-5ECA launch vehicle from Kourou.